Just a Thought About Election and Man’s Will. If God, being completely transcendent, says two things, that to us, being limited, finite, creatures, whose reason is corrupted by sin, seem to be mutually exclusive, isn’t it possible that those two things are true, despite our inability to perceive the greater truth? Of course it is possible. It is necessary that we don’t exclude one truth, at the expense of another, simply due to our limited faculties. That is why, some Christians who affirm God’s sovereignty, and man’s ability to exercise his volition within his nature, are not affirming something wrong. It is merely a more mature understanding of God’s sovereignty, the centrality of Christ, the transcendent holiness of God, the utterly created, finite, and sinful nature of man. Predestination, and election are not doctrines that are arbitrarily arrived at through implicit inference. They are arrived at from exposition of the explicit teachings of scripture. Contrast the resulting theologies derived from a man centered, (anthropocentric) decisional regeneration, with the more comprehensive God centered (theocentric) sovereign election. We don’t deny, as some might say, that man makes choices. 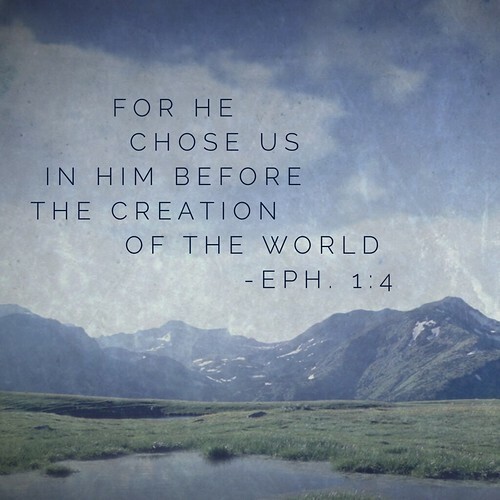 We just understand that in a compatible, and transcendent way, the sovereign God, ordained those choices in eternity, for His ultimate glory, and our good. The people who ask, “Does God ordain the murdering of a man?” We should reply, “Was that man born without sin? As a sinner, what does he deserve?” The matter of theodicy is all but ignored in this modern age of mediocrity, and ignorance. We can study the past, and stand on the shoulders of giants, or we can crawl, blindly in the muck, and mire, searching for a morsel of truth, trying to rediscover what was once common knowledge amongst Protestants, while sinners descend to the pit, temporally, and eternally, all around us. Remember, God can save who He wants to save. The Jews saw the gentiles as dirty compared to themselves. The next time you are tempted to look down on someone because of their race, or some other reason, and think that salvation can’t be for them, remember the Jews and gentiles. God will save anyone He has determined to save. He doesn’t try and then fail. What He sets out to do, He accomplishes. Paul was a murderer, not just that, but a persecutor of Christ’s Church. After his conversion he thought of himself as the chief of sinners, yet he was born again. 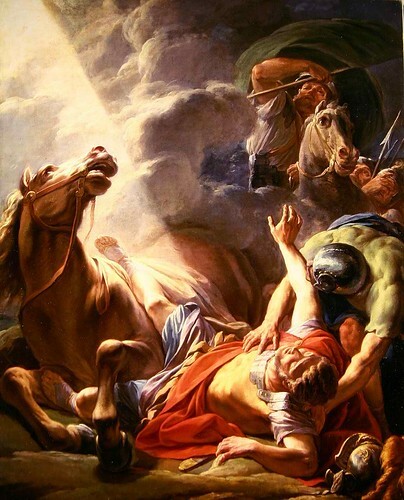 Christ put him off his horse, blinded him, while making him see, and then made him an Apostle. Ananias feared Paul and didn’t want to go to him initially until God told him this, “15But the Lord said to him, “Go, for he is a chosen instrument of Mine, to bear My name before the Gentiles and kings and the sons of Israel;” Jesus made Paul His slave, and Paul loved his Lord and Master. Paul brought the gospel to the gentiles with passion and fervor from the Lord, and the Church was built, with Christ as the Chief cornerstone and the Apostles laying the foundation, by the power of the Holy Spirit, according to the will of the Father. 44The next Sabbath nearly the whole city assembled to hear the word of the Lord. 45But when the Jews saw the crowds, they were filled with jealousy and began contradicting the things spoken by Paul, and were blaspheming. 46Paul and Barnabas spoke out boldly and said, “It was necessary that the word of God be spoken to you first; since you repudiate it and judge yourselves unworthy of eternal life, behold, we are turning to the Gentiles. The Will of Man, Transcendent God, and Unfolding Time. I know many people have a difficult time understanding how God could have already made everything in our futures a reality without violating our will, or making Himself ultimately guilty for what we do. Just like many of the theological problems we have, I think this also comes from our finite nature as well as being under the noetic effect of sin. I would like to explain how it could be that God has ordained or determined everything in eternity, and we remain culpable for our sin. Remember, this is just one way I think it could be. I am not certain, but it does seem reasonable to me. We live in space-time. We experience life instance to instance, moment to moment like a line drawn through and connecting many drops of water on a surface. The drops are moments in our lives. The drops ahead are truly there. They are actual, but not yet realized by us. As such, there is truly only one path, not many. There are not infinite numbers of alternate realities, only one actual one not yet realized by us as creatures moving through space and time. As we pass from one instance to the next, the two are connected. We have lived and are living in a seemingly linear progression to the grave. Once we die we stop experiencing time in this fashion. We move from these many instances to one infinite instance, an age without time, eternity with God. God is the Creator of time. He transcends time, and is not bound by it the way we are as creatures. For us time is an unfolding progressive revelation of what is already actual. For God I think that in eternity He has already done everything. The future, our futures are determined. We don’t experience life that way here in the material world, but in eternity it is fixed. Think about God’s word and prophecy. When an Old Testament prophet spoke, he said, “Thus sayeth the Lord.” Then, the prophecy came. Some of us might think that when that was happening the prophet was merely telling the future. In a sense he was telling the future, but more accurately he was telling us what God had already determined in eternity about our linear experience of life bound by space and time. Since the Bible is completely revealed to us, and Christ is the word incarnate, we no longer have prophets that speak new things to us. A modern prophet quotes the Bible out loud to people. Our experience is one where we make choices in keeping with our natures connected to each instance in space-time. When we are fearful of the future, we are saying that we don’t trust God to get it the way we want it. We should be thinking about how we can glorify God in each moment that He has already made actual when we experience it. We experience thinking about what choices to make, what the consequences could be, what the rewards of our choice could bring, and we make decisions, as well as experience the consequences of those decisions. God is not surprised at all by our decisions or the results. He has every person who has ever lived, all their instances, all of yours and mine, from past, present, and future, all woven together in His sovereign will to work out for good. If we trust that God is truly good, and truly sovereign, and realize how sinful we are contrasted to His holiness, then we can start to see that His will is the best. The fuller truth about our volitions is that transcendentally they are working according to God’s sovereign decrees and ordinances. The creaturely experience of an unfolding space-time is limiting and useful for God’s purposes. In it, He gives us one moment to the next to learn about ourselves, the world, Him, His gospel, and His elect will respond to the gospel. In the limits He has set for us, we grow and are sanctified. It is a process He determined to use, and is good. So trust the one true good and sovereign God with your future. Make your decisions, and experience the results, but don’t unhinge your culpability to blame God for your experiences. It is not a paradox to use your will, but ultimately have your will predetermined in eternity. It is only paradoxical if you have a lower view of God, and your own sin. Let’s face it, our wills are the problem. Our goal is to become more like Christ. I’ve sorrowed over my sins, and truly asked God to replace my wicked will with His so that I no longer desire sin. In eternity when we have our glorified bodies, we won’t sin. Does that mean our wills will be replaced with a Godly one? What would that look like? You can find out. If you haven’t already, repent of your sins. 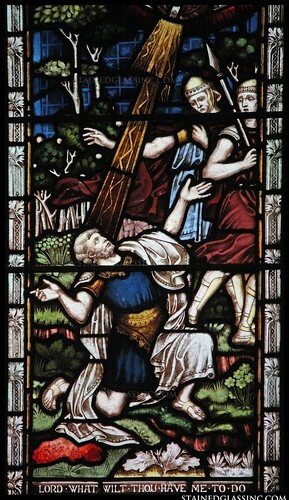 Trust the work of Jesus who while on the cross made atonement for the sins of the elect. He finished the work there and justified those He was saving to God. Repent and believe. Traditionalists of the Southern Baptist Convention, (SBC and their Attacks on Calvinism. As of late, you may have noticed some personal attacks on Calvinists, and on Calvinism in general coming from men within the SBC. These men are calling themselves, “Traditionalists.” I wonder whose traditions they are identifying with? I wonder if they know the real history of the SBC? I wonder if they understand that their roots are in Calvinism? I wonder, when they accuse us of following traditions of men, if they ever look at themselves and their own traditions? The following two sections of scripture are about the Pharisees and their hypocritical keeping of traditions. It is identified as wrong, and not to be emulated. Colossians 2:8 (NASB) 8 See to it that no one takes you captive through philosophy and empty deception, according to the tradition of men, according to the elementary principles of the world, rather than according to Christ. 9 He was also saying to them, “You are experts at setting aside the commandment of God in order to keep your tradition. This section of scripture is about imitating Paul as he imitates Christ. This tradition is good, and to be kept. 1 Corinthians 11:1-2 (NASB) 1 Be imitators of me, just as I also am of Christ. So call yourself a traditionalist if you like. I don’t care. Hate the doctrines of grace, if that is how you think. Chase all of us evil Calvinists out of the SBC, but I’ve got news for you, we’ve been the theologically conservative salt in your denomination. When we leave, you will fly headlong down the road to liberalism and eventual irrelevance. Snowed in, with a bad back, and an inauguration to watch. The last few days have been interesting. So much snow, that my gas furnace and on demand water heater both had their roof-top exhausts covered completely with snow. I didn’t want frozen pipes or a frozen house, so I had to get the exhausts cleared and call some professionals to get the over 3 ft. of accumulated snow off my roof. Thanks Arturo Martinez for all your hard work. If anyone needs some snow removed from their roof, message me and I’ll send you his number. The next morning of fun was realizing the pets could not go outside to do their business. I began to dig them a patch of ground out and wrenched my back. It gave me time to ponder deep topics like, “Will it get better or worse? Will I be able to get to work Monday? How many ibuprofen have I already taken?” One thing is for sure, is that the will of God will be done. This brings me to the inauguration. 4 and 8 years ago, I trusted in the will of God when the pro-abortion, (a.k.a. baby killing) perversion promoting, (LGBT nonsense) Barry Soetoro a.k.a. (Barack Obama) took office and kept it. Even while I wondered how people could condone the evils of perversion, (LGBT) perverse marriage, (Gay Marriage… no such thing) abortion, and socialist totalitarianism, I was comforted by the knowledge that God is sovereign and in control of all things, including the political leadership of this country. I honestly believe we were getting the leaders we deserved as an unrepentant people. We have been calling good evil and evil good for fat too long to keep on experiencing the blessings of God. 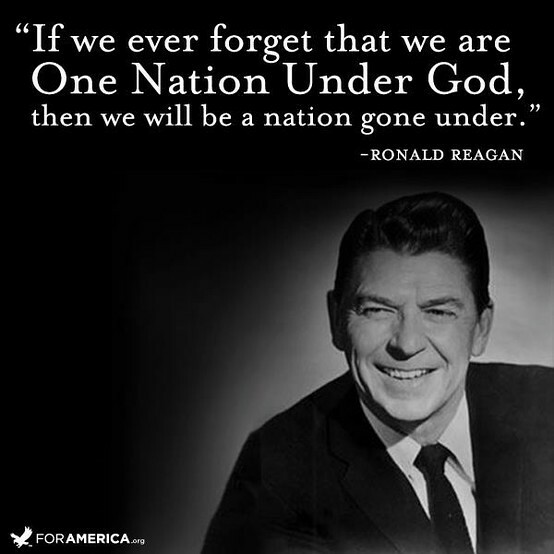 Instead, for 8 long years or corrosive evil leadership, we were under the discipline of God. I hope that the people have repented, and we will be experiencing a reprieve. God willing, may America be blessed once more. I would ask all of you to repent of your sin, put your faith in the finished work of Christ, and seek God’s glory and will first and foremost in the years to come.